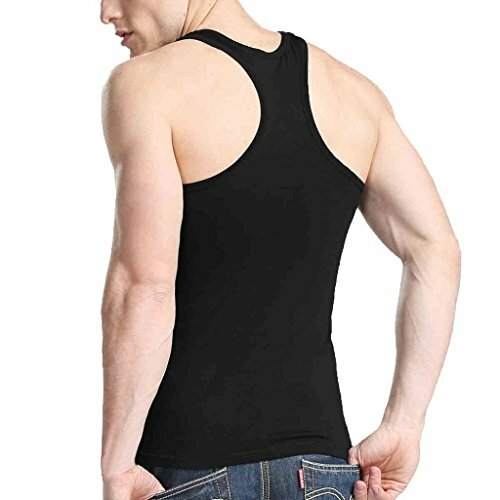 The stylish Tank Top to show your confidence, you are the star in your world! – Classic crew-neck, perfect for sports and good enough to wear outside of the gym going casual. – Label mark: the Original label mark is Chinese size, which is marked 2 size larger than US size. For example: if you wearing US size XS, please bid XS on Amazon, and you will receive the shirt with tag mark M.
– The T-shirts are elastic and stretchy, belongs to the close-fitting type, so they may be a little tighter than the ordinary one, please consider one size larger if you prefer loose clothing.